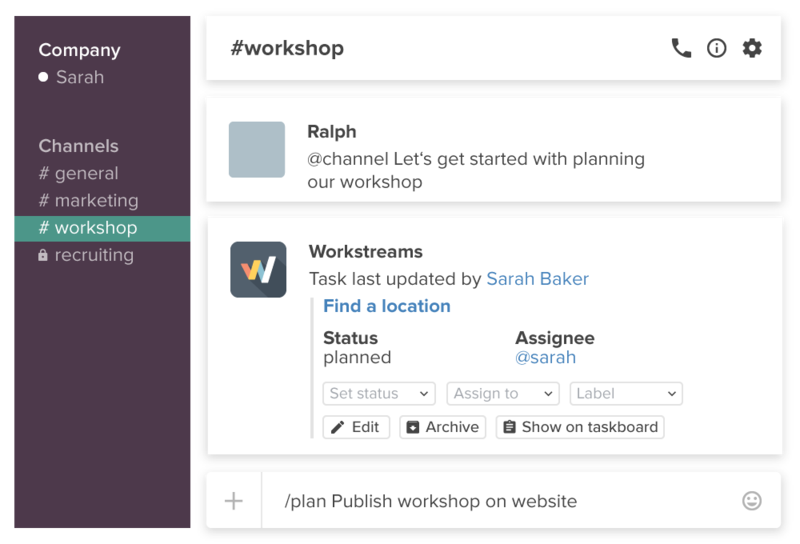 Just invite Workstreams to your slack channels and start managing your tasks straight away. Plan, comment and share in Slack. 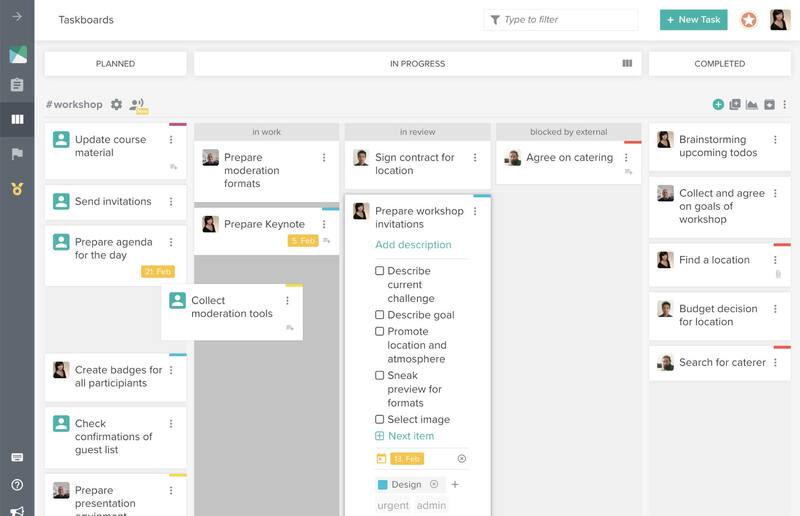 Follow overall progress on your taskboard. All Slack task management is 100% for free. Integrations, insights and much more with our PRO plan. Create tasks in your Slack channels as you go. Share files and associate them with suggested tasks. Assign team members and start conversations. All from within Slack. Be informed what's being worked on in your team. 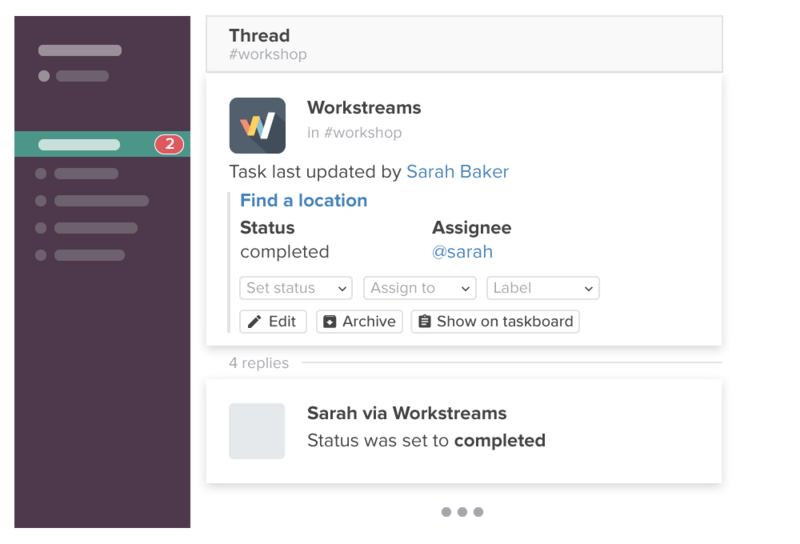 Get notified about updates on tasks and discuss on tasks through associated Slack threads. In any case: Find it all summarized again on the Workstreams taskboard. Create goals, get reports of your daily doing and measure your success. 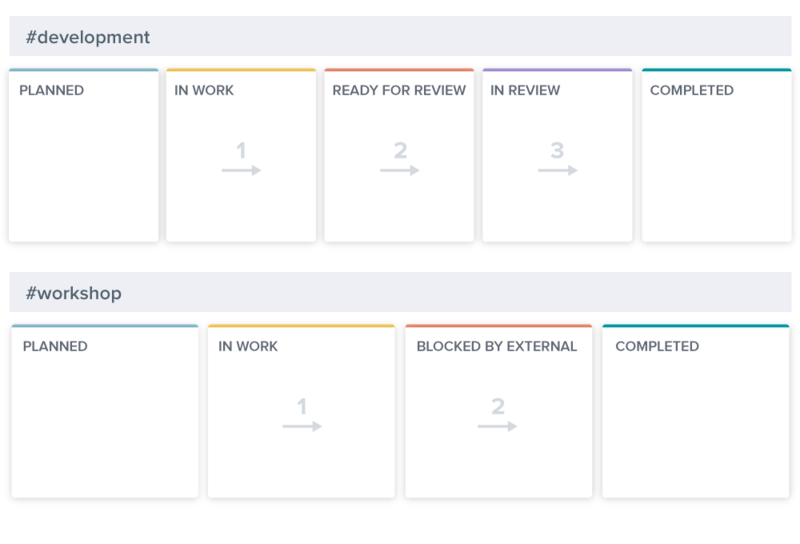 Find all your tasks in a Kanban style taskboard. 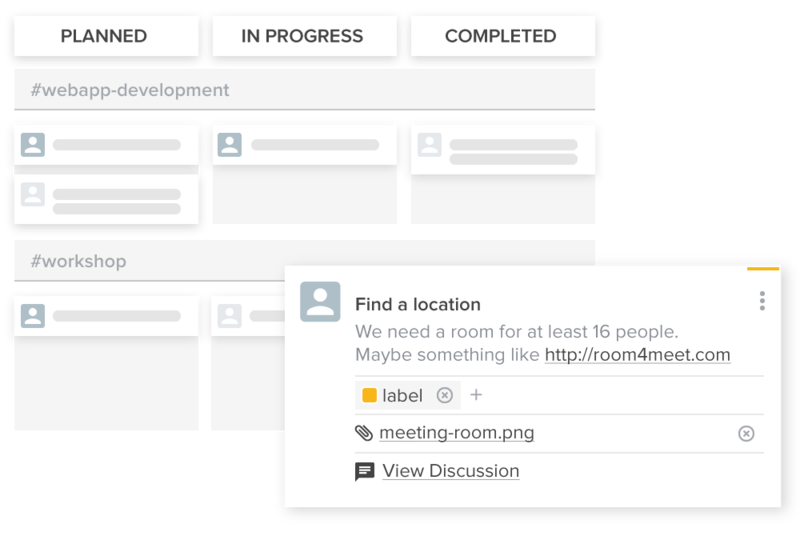 Use boards for any channel, private group and even personal tasks. Combine channels on one board or focus on each channel individually. Create and change the priority of your tasks. Create your own worksteps adopted to your team workflows. 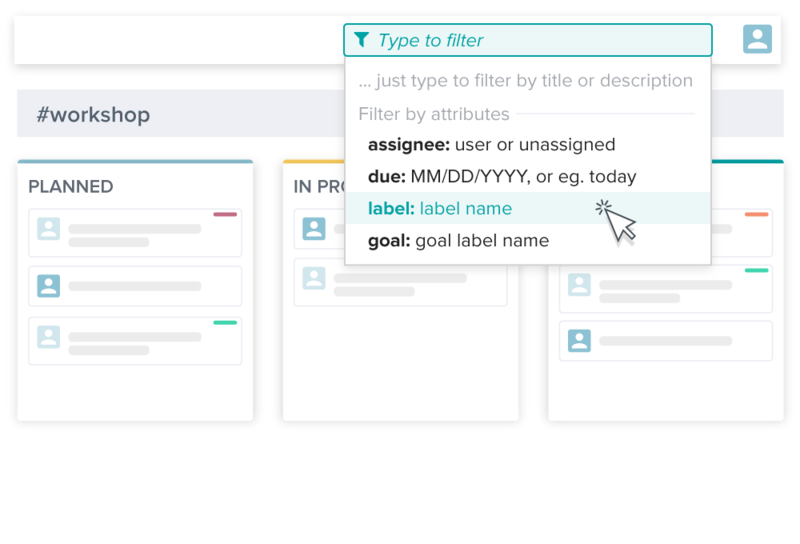 Label your tasks with goals and create custom labels. Filter by labels across channels. 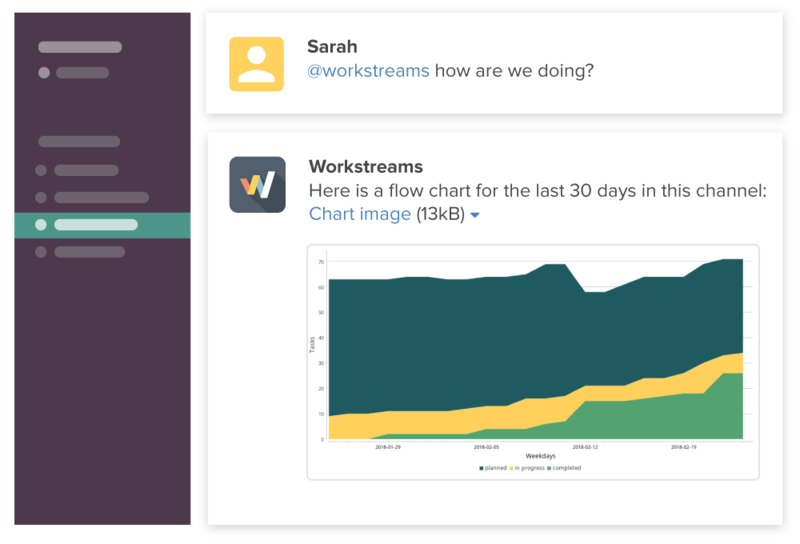 Moved our whole project management to @Slack-HQ using @WorkstreamsAI ( ) and it's amazing! Less passwords, less clutter, less tabs.